Heidegger’s lecture “Einleitung in die Phänomenologie der Religion WS 1920/21” (which is published in GA 60) was attended by Fritz Kaufmann. His lecture notes (which are housed in the Husserl-Archives) are written in “Gabelsberger Stenographie”. 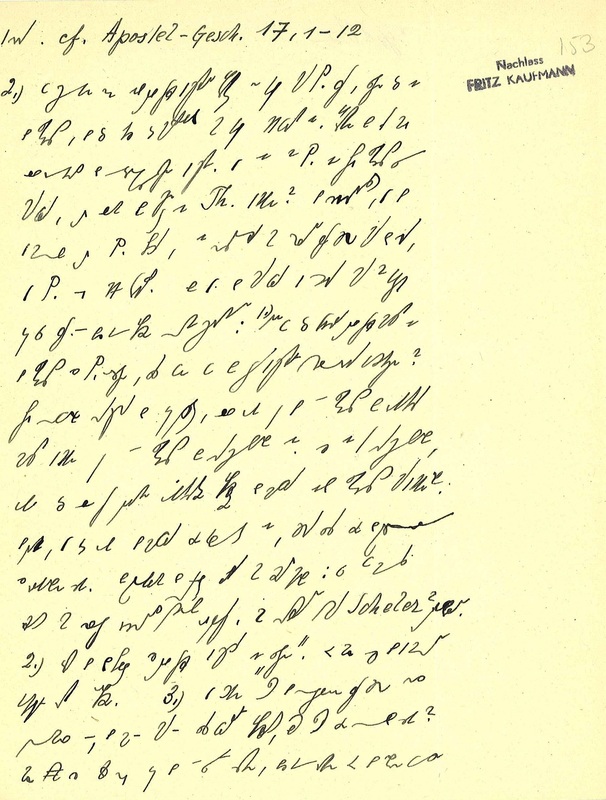 The editors of GA 60 could not use Kaufmann’s notes because they are still not transcribed. 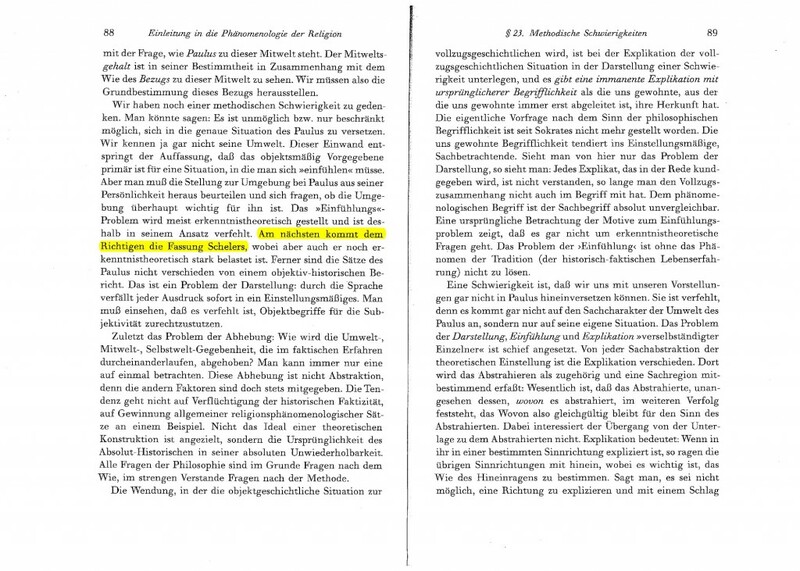 What follows is an example of Kaufmann’s notes and the reference to Heidegger’s lecture “Einleitung in die Phänomenologie der Religion WS 1920/21”. „Der Konflikt“ (Fritz Kaufmann) – S. 10-17. Thanks again for this. It shows it’s a pity that this Nachlass was not taken into account by the editors of GA 60. Even if the content is, I believe, globally the same, alternative formulations always help the readers and a fortiori the editors. Note that Kaufmann often has biblical references right when other Nachschriften haven’t. This is the case in the example you give: GA 60 reads Apostel-Geschichte 17, 1-16, Kaufmann 17, 1-12. Kaufmann is right : 1-12 forms a pericope. May I add that Kaufmann’s Nachlass in the Archives also contains a bundle entitled “Ontologie des Aristoteles”, which is in fact Heidegger’s lecture-course from Summer Semester 1922, “Phänomenologische Interpretationen ausgewählter Abhandlungen des Aristoteles zu Ontologie und Logik”. “nicht kennt. Cf. Apostel-Gesch 17, 1-12.